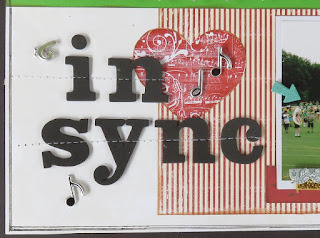 Blog Quick Quotes: In Sync with June! Hello Quick Quotes fans! 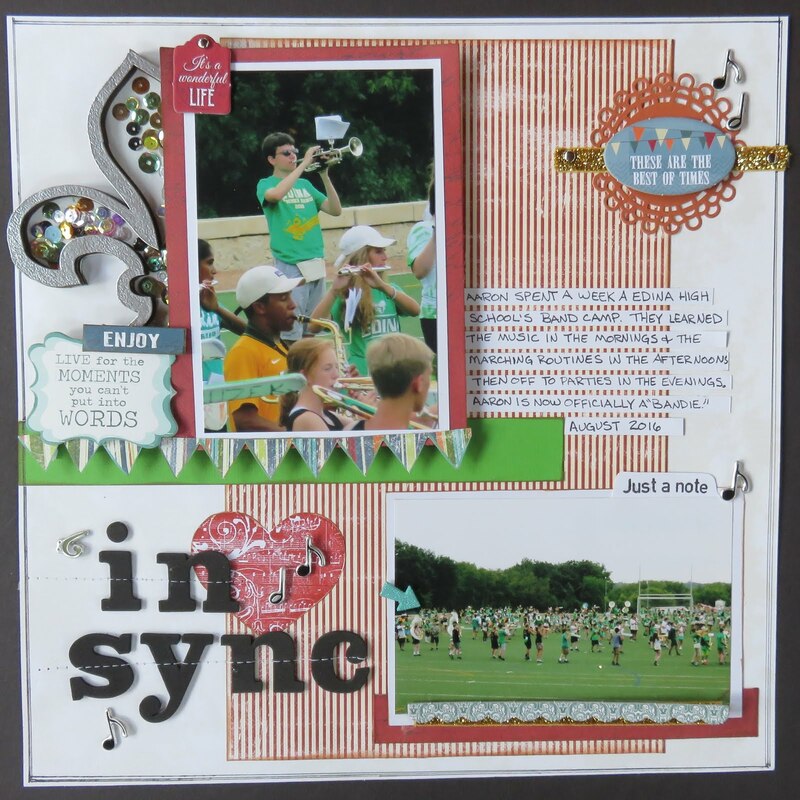 June here with another fun layout for you. 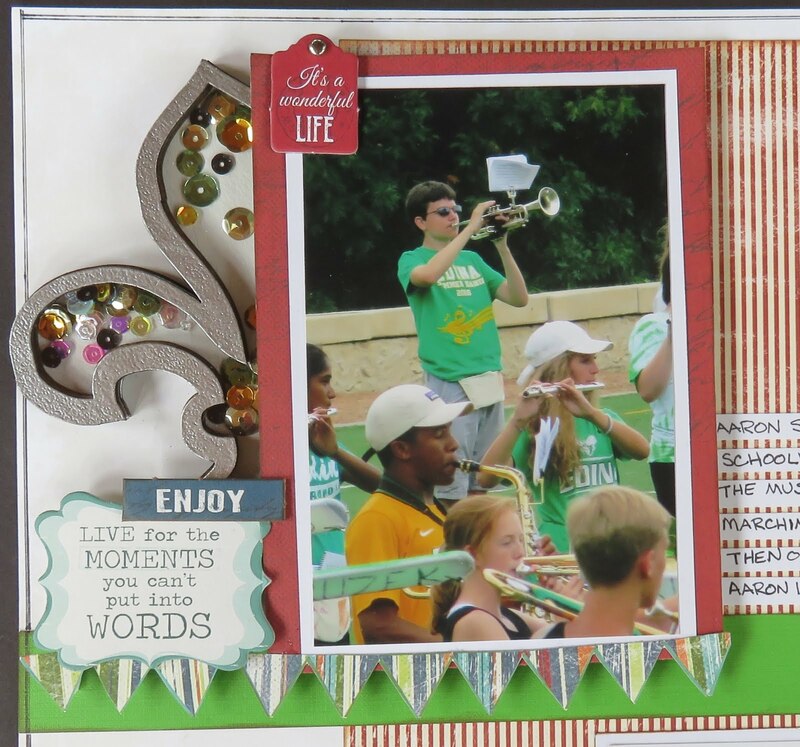 I paired Clear Scraps' "Fleur D Lis Shaker" with Quick Quotes' Earth Wind Fire papers and, of course, printed these photos using Cannon's Selphy CP1200 Wireless Compact Photo printer. 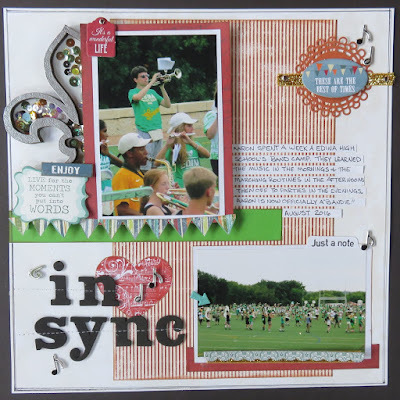 These products are so fun to play with and help to bring pages together fast. The large photo was matted on Quick Quotes' Earth Wind Fire 101 paper was popped up using a triple layer of 3L's Foam Squares. The banner was fussy cut from the flip side of Earth Wind Fire 101. I used Windsong 102 as the background. Earth Wind Fire 101 and 105 (reds) were used as a contrast to the greens in the photos to make them pop. 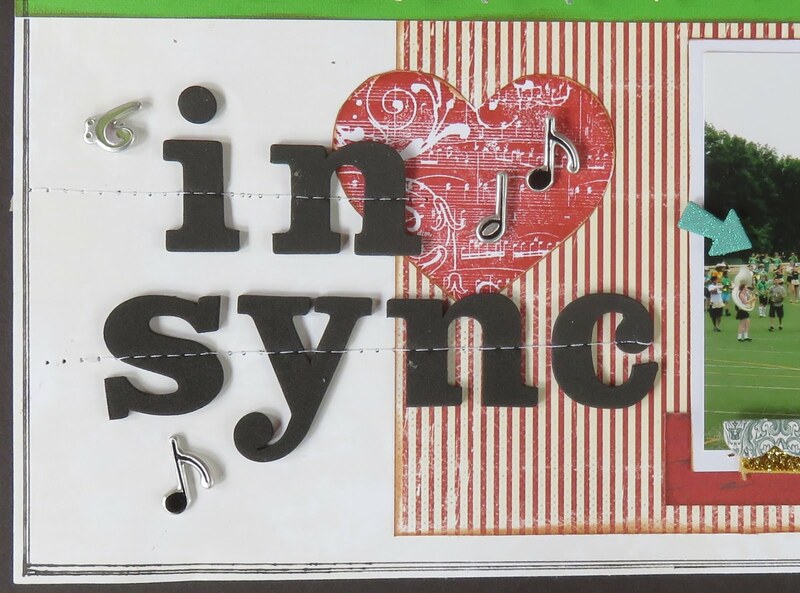 To finish off the page Earth Wind Fire chipboard die cuts were added along with musical brads, machine stitched Thickers and a stamped heart. 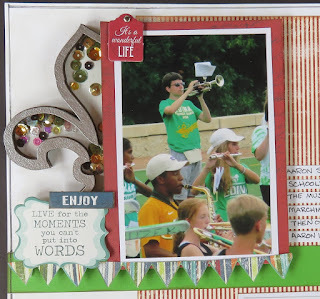 All of the chipboard and papers were edged using Mocha Mama PowderPuff Chalking Ink.